A few weekends back we were having some decent temperatures, cooler than normal and breezy, so we decided to take a hike. Technically a drive followed by a hike. One of the regular customers at the pie shop had told us earlier in the week about this place, and after seeing her photos we just had to visit! 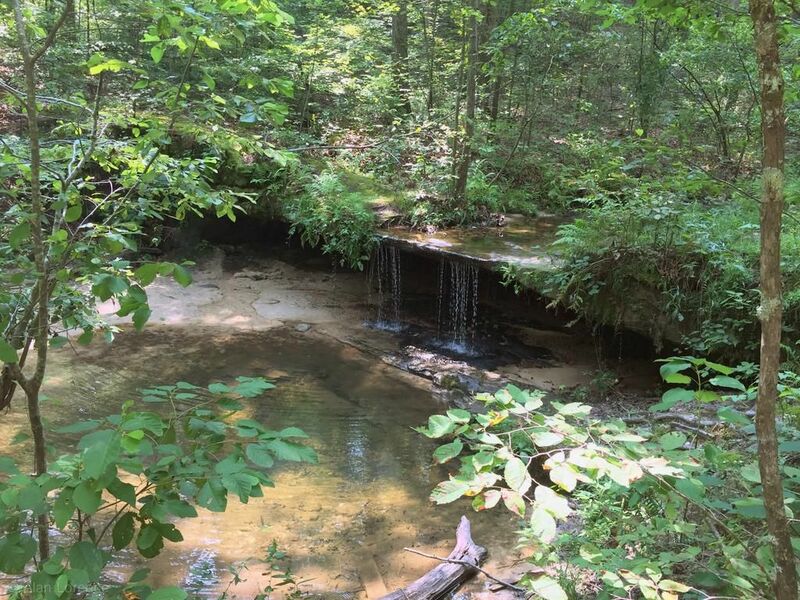 It's Pickle Springs Natural Area, and was a little over an hour from our house. There is no water access here, no river, no camping, although there may have been a picnic table or two next to the small parking area -- if you don't want to hike, you've come to the wrong place! ...and close those split seed pods back up! 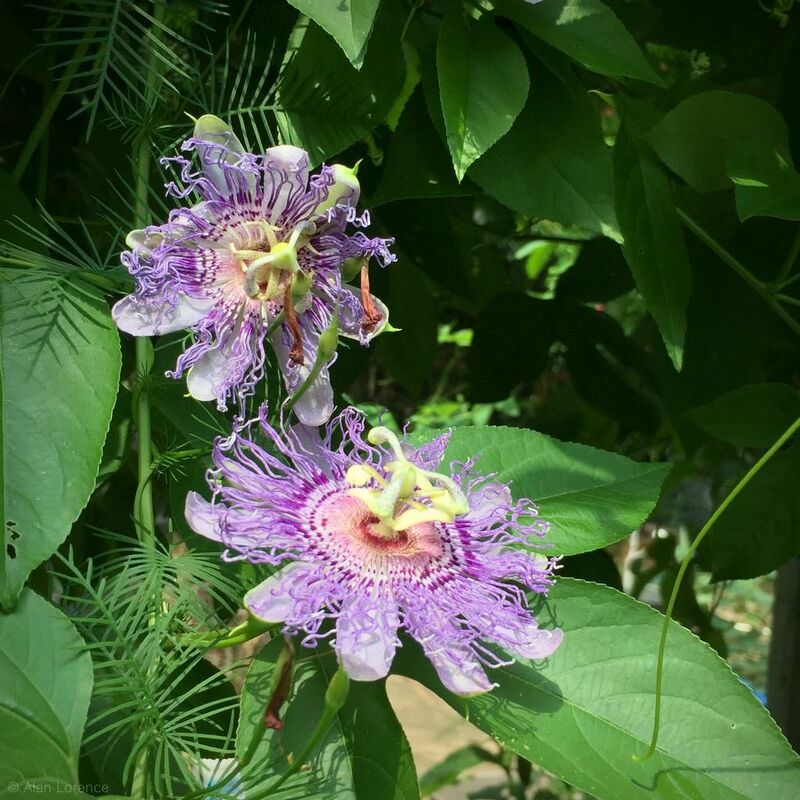 Maypop, Passiflora incarnata, is a native Missouri vine that is lush, vigorous, and looks oh so tropical. 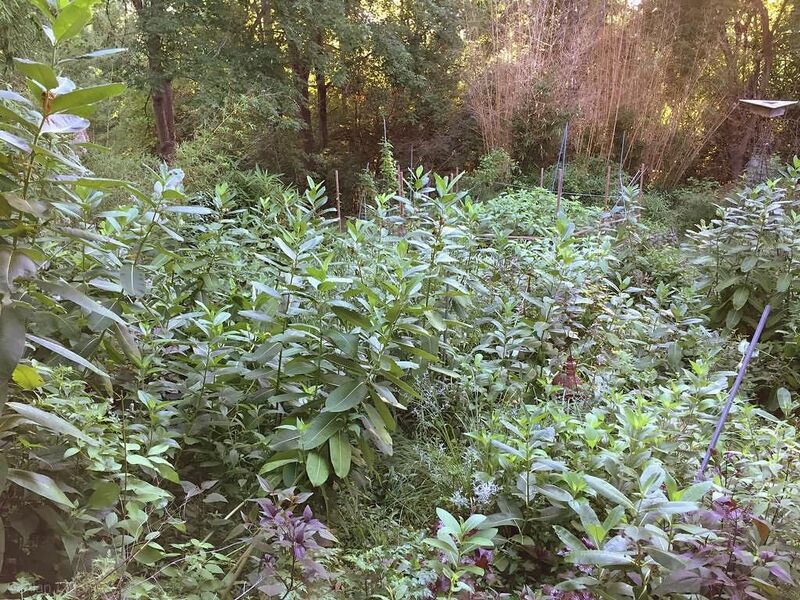 It's a slow starter in my garden, not even emerging until the first week of June, but by mid-to-late August it's pretty much threatening to take the place over. The stream rebuild project is coming along slowly. Lots of days where it was either way too hot, raining, or I was just too busy meant that I didn't do much on it until this past weekend. Sunday morning I took advantage of cooler temperatures -- albeit in 90%+ humidity -- and got some work done. Missouri is home to many caves (and there will be a map at the end of this post to prove it), and there are several that are open to the public. 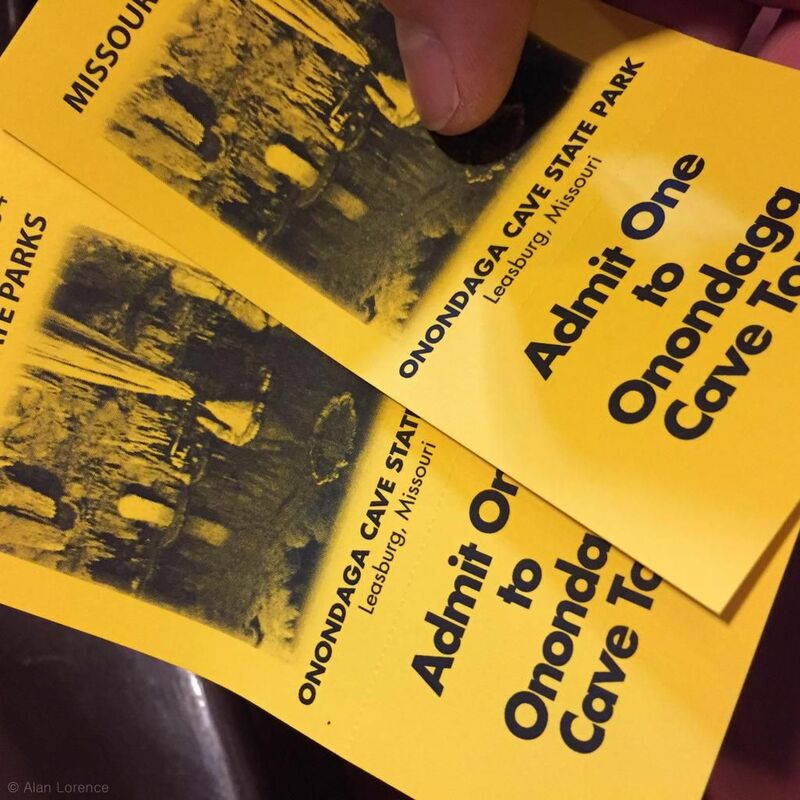 A few summers back my wife and I visited Meramec Caverns, and last month we went to another that's just an hour or so from home: Onondaga. ...but it seems to be healthy. It might need a little more fertilizer, and maybe a few hours more sun a day? I don't know if I have a better spot than the deck stairs though. The walkway garden has been quite nice this year with a couple of summer additions. 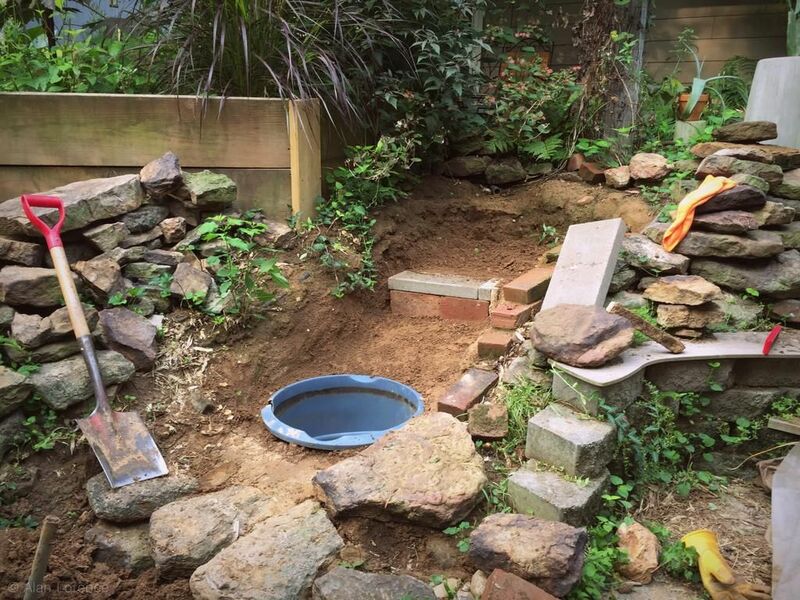 There are a few plants that are spent though, and it's time for a refresh. If you can ignore the white-hot spot of sunlight on the wonderfully silver foliage of the Artemesia ludoviciana, you can see the tired green of the cleome surrounding it. Blech. Remember how the stream rebuild unexpectedly turned into a tadpole rescue? Well, it's time for an update on these metamorphosing amphibians. I thought these tadpoles looked different, not the American Toad tadpoles that I'm used to seeing. Hmmm -- what's he doing there? That's something we don't say too often in St. Louis, where we usually have hot and humid summers that end up being quite dry much of the time. For the last four or five days it's been unusually cool though, with highs in the 70-80ºF (21-27ºC) range, and we've had quite a bit of rain.